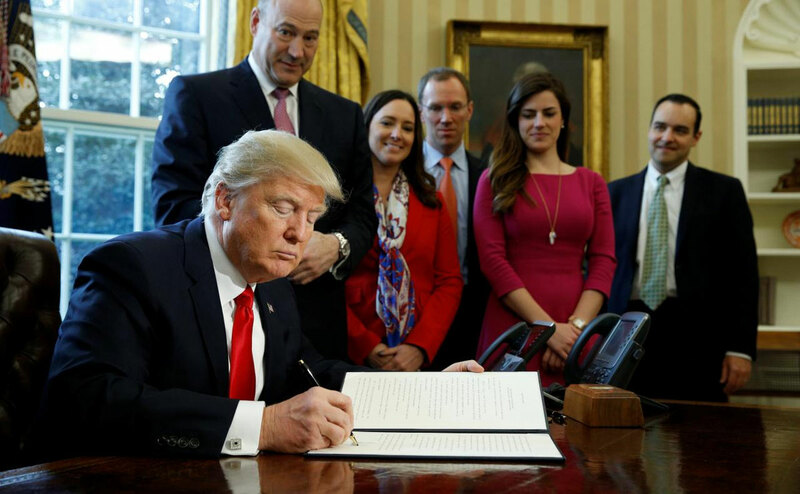 While his administration has been chaotic, and his decision-making impulsive and sometimes whimsical, Trump has made changes that could have far-reaching and lingering consequences for society and the economy. Some have grabbed headlines but many, no less consequential, have gone largely unnoticed amid the daily controversies and Twitter insults that have marked Trump’s early months in office. “Trump is doing an awful lot to shape policy and blow up policy,” said Norm Ornstein, a political analyst at the conservative American Enterprise Institute. “Where Trump has had success in changing the rules of the road it has been used against the very people who helped elect him,” said Ben Olinsky, vice president for policy and strategy at the liberal Center for American Progress. The “Trump effect” also goes far beyond policy. After a precedent-shattering campaign, Trump has redefined presidential behavior with his freewheeling and sometimes confrontational use of Twitter, his refusal to step away from his businesses and his reliance on family members as top advisers. Follow Trump’s impact on energy, environment, healthcare, immigration and the economy at The Trump Effect.